the weekly quest in vestigar peaks has reset back to 0/5 most of us were not able to complete the 5/5 last week due to bugged quests. this quest should not be resetting! not everyone is able to play for hours every day. 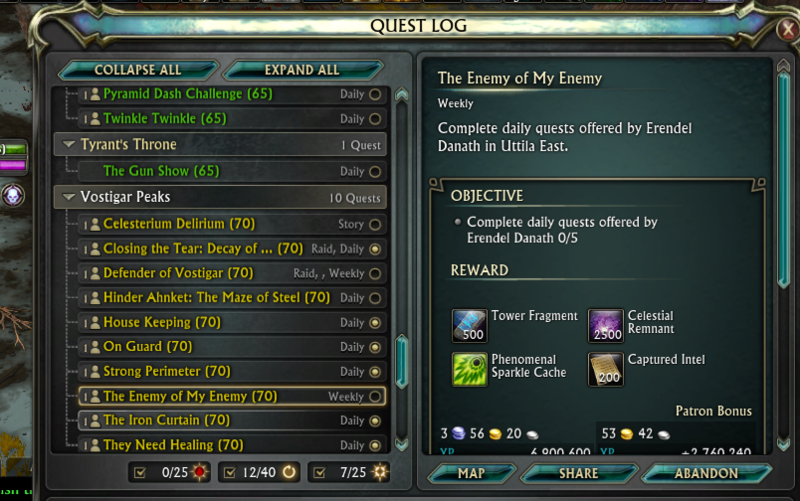 this quest should work like every other weekly in the game so you can complete it over a number of weeks if you need to. very very disappointed in this! please assure us that this is a bug! Hi Caduto, we have confirmed that this is a bug and are working on a fix. Thanks for letting us know and apologies for the inconvenience.